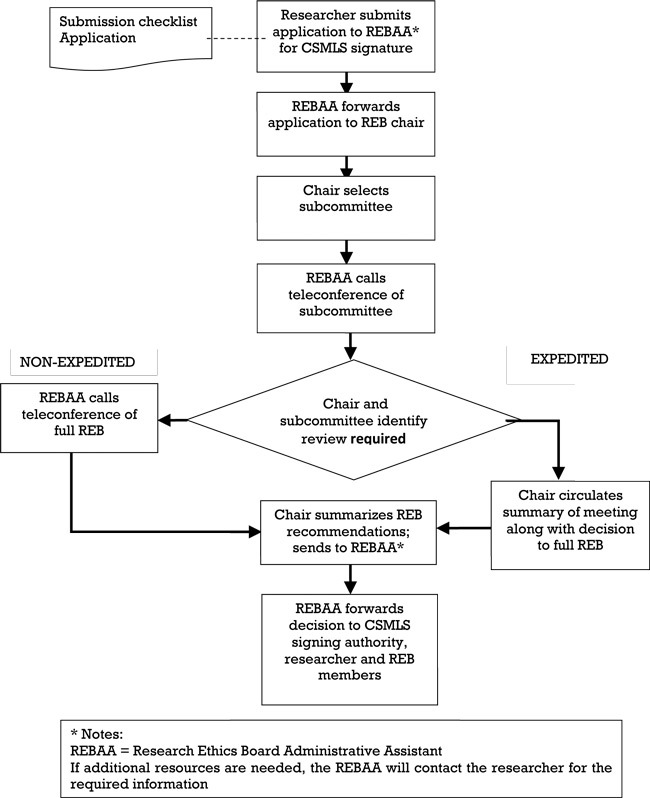 The Research Ethics Board (REB) policies and processes permit the CSMLS to meet anticipated research needs while allowing flexibility to address unexpected circumstances and ensuring the review process is sufficiently rigorous to meet nationally-accepted standards for research involving humans. The following process map demonstrates the high-level steps in the ethics review process at CSMLS. For more information regarding the Research Ethics process, please refer to the Guidelines, or contact the Research Ethics Board Administrative Assistant (REBAA), Miriam Gracey at miriamg@csmls.org.